Deep under the sea awaits a world of adventure and exotic fish that will impress even the most seasoned traveler. 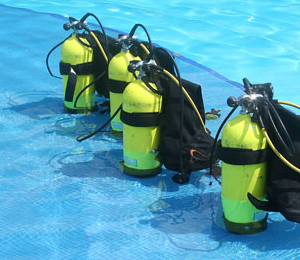 Centering your next vacation around the experience of Key West diving will broaden your horizons and allow you to see some of the most dazzling aquatic species that the oceans of the world have to offer. 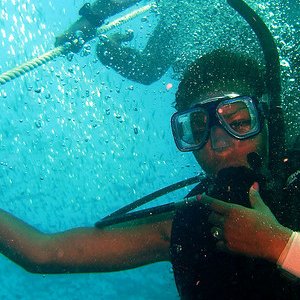 There is no other location in the Caribbean that hosts so many different types of unique and intriguing species of fish and other sea life. The creatures here are active nearly all of the year thanks to the warm waters of the region. 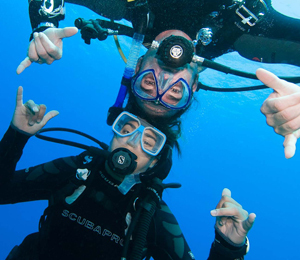 Whether you are a seasoned diver or a newcomer to the mysteries hidden beneath the sea, Key West diving will have a one of a kind experience to offer. You can count on coming face to face with dozen of fish species and among the most beautiful are the Banded Butterflyfish and the Four-eye Butterflyfish. 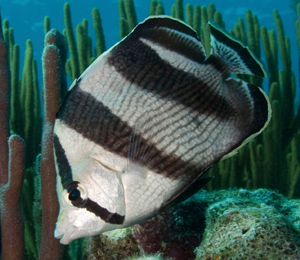 The Banded Butterfly fish is a species that peacefully coexists with all types of life that inhabit coral reefs. Their distinctive black stripes that run horizontally along their bodies make them easy to recognize as well. Their concave forehead and nearly disc-shaped body make them a distinctive fish for your eyes to enjoy. They like shallow waters and are particularly active during the day, typically traveling in pairs. They tend to feed on crustaceans, coral, and other life that resides along the ocean floor. They also perform an important role by cleaning the parasites from other larger fish. Featuring a very small mouth and a compressed dorsal fin, the Four-eyed Butterflyfish earns its name thanks to the large, dark spot that is present on the back of their bodies. The remainder of their bodies is often dark gray, however, they sometimes take on a yellowish hue. The spot is meant to protect them from predators by fooling them into thinking the rear of the body is actually their head.